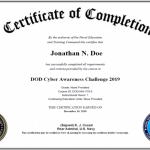 Defense Information Systems Agency (DISA) has released The Cyber Awareness Challenge. This is the Version 2.0 and it the current version. This is current as of January 2016! 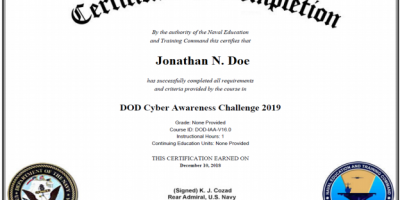 There are two versions, one for the Department of Defense, one for the Intelligence Community, and one for the remaining Federal departments and agencies.